LONDON — Mary Soames, the last surviving child of British World War II leader Winston Churchill, has died. She was 91. Her son, Nicholas Soames, said she died Saturday evening after a short illness. “She was a distinguished writer and led a distinguished life, with her service in the war, and is part of that generation which is passing,” Nicholas Soames said Sunday. He said it was “extraordinary timing” that Churchill’s last remaining child died just before the 70th anniversary of D-Day, which falls on June 6. “It is the great swing of history,” he said. 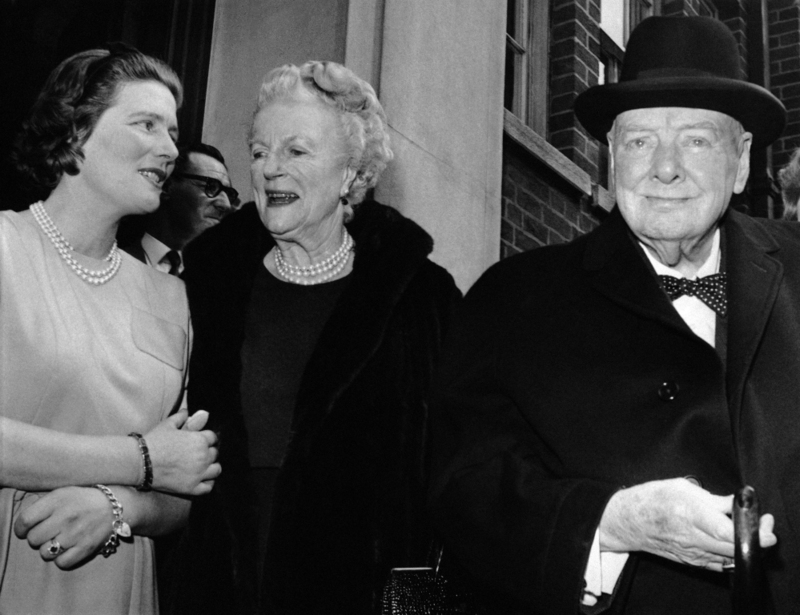 Born Sept. 15, 1922, Mary Soames was the youngest of five children of Churchill and his wife Clementine. As her father led Britain’s fight against Nazi Germany during World War II, she joined first the Red Cross and later military units. She served in London, Belgium and Germany with anti-aircraft batteries of the army’s Auxiliary Territorial Service. She also accompanied her father on several of overseas journeys, including the postwar planning conference in Potsdam, Germany, attended by U.S. President Harry S. Truman and Soviet leader Joseph Stalin. After the war, she married Conservative politician Christopher Soames, becoming Lady Soames when he was made a peer. Soames wrote several books about her family, including a well-received biography of her mother, and was a patron of many nonprofit groups. She is survived by five children, including Nicholas, a Conservative member of Parliament.